Ring in 2018 with two music-filled celebrations on CPTV! On New Year’s Eve – Sunday, December 31 – at 10 p.m., tune in to CPTV as the New York Philharmonic is featured in Live from Lincoln Center’s New Year’s Eve: Bernstein on Broadway. 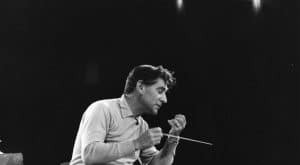 Watch as the New York Philharmonic celebrates the 100th birthday of the late Leonard Bernstein. 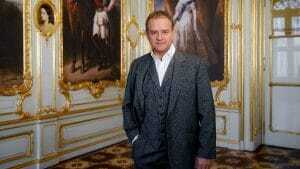 Then, on New Year’s Day – Monday, January 1 – at 10 p.m., don’t miss Great Performance‘s From Vienna: The New Year’s Celebration 2018. 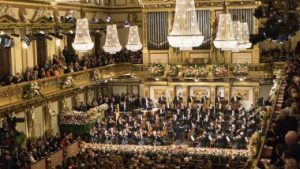 Join the fun as Great Performances continues the cherished tradition of ringing in the new year with the Vienna Philharmonic at the opulent Musikverein, featuring favorite Strauss Family waltzes accompanied by the dancing of the Vienna State Ballet.